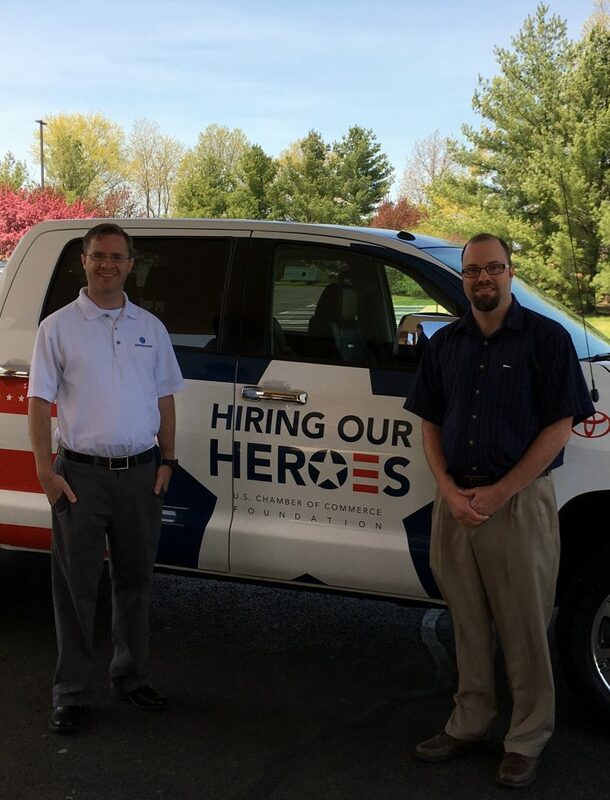 Home // Careers // Hiring our Heroes! AeroNavData attended the Hiring Our Heroes Hiring Fair, at Scott Air Force Base on Monday, April 30, 2018. We were very happy to be able to support this event and were honored to have the opportunity to recruit for positions at our company from the finest of our service men and women. AeroNavData is a Service-Disabled Veteran-Owned Small Business (SDVOSB) and we are located 30 miles from Scott Air Force Base. Through the Scott Air Force Base Transition department, the Hiring our Heroes Transition Summits are an outstanding way for the exceptional team at Scott Air Force Base to assist Veterans transitioning to the civilian workforce. We would love to have the opportunity to speak with you about joining our team! Please click on this link to review the open positions we have at AeroNavData and see instructions on how to apply!